Under the leadership of Brian Harlow, music is a flourishing ministry at St. Luke’s. Dr. Harlow trains and directs two choirs. 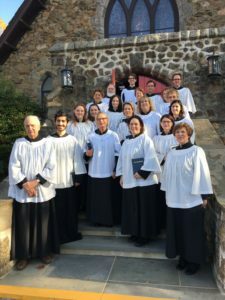 The principal one, the St. Luke’s Choir, sings at the 9:30 service on Sunday mornings and at all other principal services (including occasional Choral Evensongs, the Festival of Nine Lessons & Carols in December, and the great Holy Week liturgies of Tenebrae and The Great Vigil). The other choir – the Children’s Choir – sings on occasional Sundays and at special events. The St. Luke’s Choir has professional section leaders and a few teenage choral scholars, as well as volunteers aged between 15 and 80. 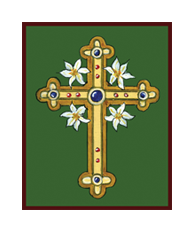 The choir’s repertory is demanding and sometimes adventurous – from Palestrina to Rutter – drawing liberally on the great corpus of sacred music which is the peculiar inheritance of the Christian Church, and of the Anglican and Episcopal churches, in particular. If you are interested in joining a choir at St. Luke’s, please leave a message for Brian Harlow at the church office, 908-234-0002.